The CW’s upcoming television series, The Flash, focusing on the Barry Allen version of the character, will bring in a new rogue: the Pied Piper. The supervillain will have a similar storyline to the comics, with his hearing loss, joining the Rogues, and eventually assisting the Flash. The character is also one of the first openly gay DC characters. At this point, there is no information yet available as to which actor will portray him or which episode he’ll debut in. 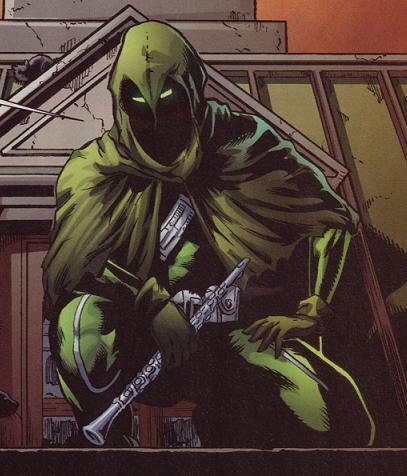 The Pied Piper will join fellow Flash rogues Captain Cold (Wentworth Miller), Heat Wave (Dominic Purcell), Captain Boomerang (Nick Tarabay), Weather Wizard (Chad Rook) and Plastique (Kelly Frye). The series makes its debut on the CW network on October 7th.